ACCEPTING BACK UP OFFERS! Bring the pets or the play sets, plenty of room to hold them all! Great family location on hidden private street offers peace and quiet while still being only minutes from downtown Charles Town, shopping and schools. 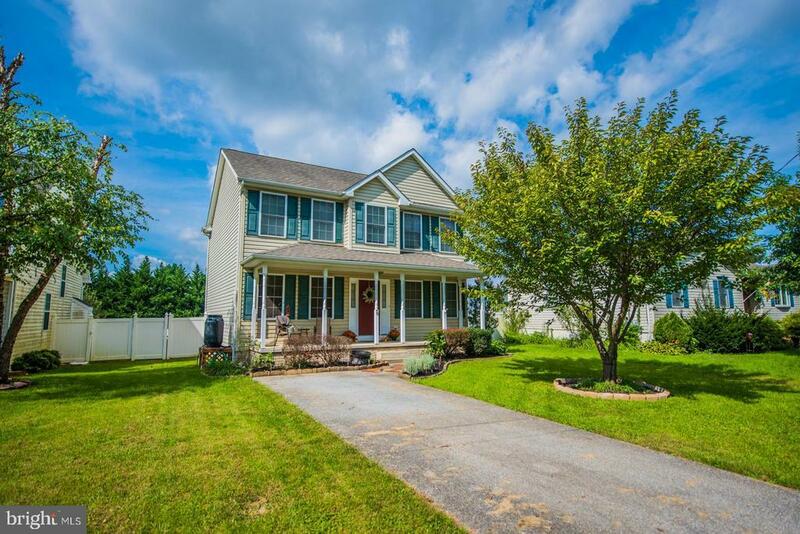 Lovely well-maintained colonial home offers sought-after open concept floor plan with a touch of classic and touch of modern. Main level gathering room lends itself to open kitchen with eat-in breakfast area, double ovens, glass-top range and stainless steel double bowl sinks. Separate formal dining room and bonus home office offer plenty of room to spread out. Lower level workout/craft area lends itself to large den or sought-after man cave, perfect for a home theatre (electric fireplace conveys). Second level bedrooms are spacious and ready for your furnishings. Master bath has jetted tub, separate shower and walk-in closet. Large vinyl-fenced backyard has small patio, fire pit and raised garden beds. Basement refinished 2014, new carpet 2017, interior walls have been freshly painted in relaxing colors, other hardware and fixture updates. Move right in this beautiful home, there is no work needed! Selling Agent: Richard E Conner Jr.